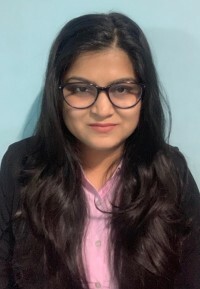 Counsel, AM Sports Law and Management Co.
Ms. Aastha Kothari is a counsel at AM Sports Law and Management Co. since May, 2018. She did her schooling from St. Xavier’s School, Jaipur and secured her bachelor’s degree in law from the West Bengal National University of Juridical Sciences, Kolkata in 2018. During her years at law school, she did her internships at the Law Offices of Nandan Kamath, Bangalore, Star India Pvt. Ltd., Mumbai, AZB & Partners, Mumbai and Surana & Surana International Attorneys, Chennai, thereby gaining experience in various fields like Sports Law, Media and Entertainment Laws and Policy, Intellectual Property Laws and Corporate Laws. Her core areas of interest are Sports Law, Media and Entertainment Laws and Intellectual Property Laws. She has so far been involved in assisting in the setting up of various leagues. She regularly engages in transactional work and advises clients on various rules and regulations for conducting the leagues. Being a national level football player herself, Aastha has seen the difficulties faced by female athletes in a less popular sport in India. She wishes to make a difference by her contributions in the legal field and bringing in awareness and education about anti-doping in the lesser-privileged sections.